Yet another “ban fracking” attempt sponsored by billionaire activist Tom Steyer met its demise in Nevada earlier this month. Assembly Bill 159, which “prohibits any person from engaging in hydraulic fracturing in this state,” died in Nevada’s Senate Natural Resources Committee at the stroke of midnight on the last day of the legislative session. The bill was sponsored by Assemblyman Justin Watkins (D-Las Vegas), who told Nevada Public Radio in August 2016 that that he is a moderate Democrat looking to represent what he calls a moderate district. A look at Watkins’ campaign donations – specifically, the flash of billionaire activist Tom Steyer’s cash – offers an explanation for his change in tune. 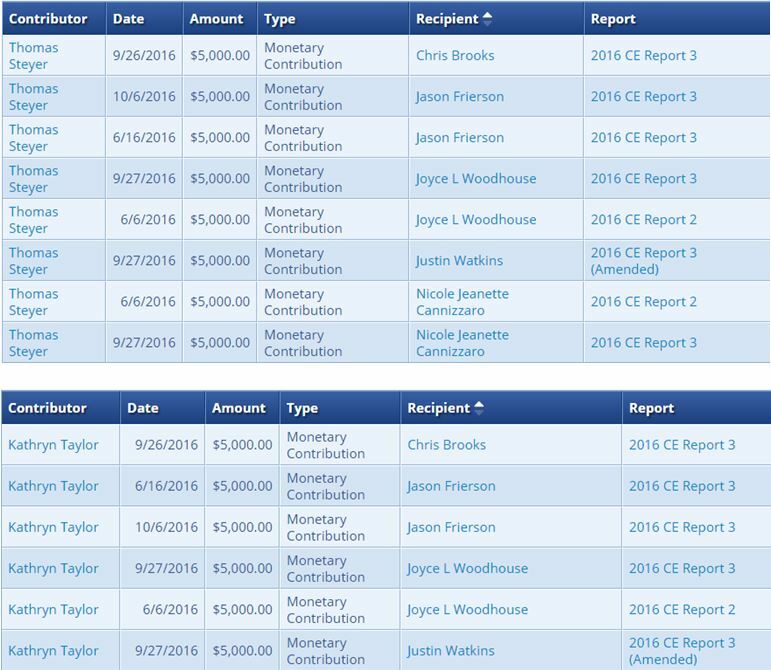 With the acceptance of a $10,000 donation from Steyer – out of the $70,000 Steyer had donated to Nevada candidates in the 2016 election cycle – Watkins began recycling Steyer’s extreme “ban fracking” talking points. Steyer has a track record of spending more than $100 million on political races across the nation in an effort to implement his fringe climate change policy. Steyer’s strategy includes calling for fracking bans, bankrolling “keep it in the ground” groups like 350.org and the Sierra Club, and pushing candidates, as a condition of his financial support, to support a 50 percent renewable mandate by 2030 via his political action committee, NextGen Climate. Steyer was also the largest single political donor to federal candidates of the past two election cycles. Money well spent? Steyer’s efforts earned him the title of “[t]he biggest loser” from the Washington Post. Nevada, where the “ban fracking” bill failed to pass out of committee in the state senate, is the latest example of how Steyer’s preferred tactic of throwing money at “ban fracking” policies continues to flop. After all, the facts just don’t support his campaign. Ehni’s remarks came days after the release of a new United States Geological Survey study, which showed that fracking did not pose a significant threat to drinking water.